Thinking about replacing your old garage door? 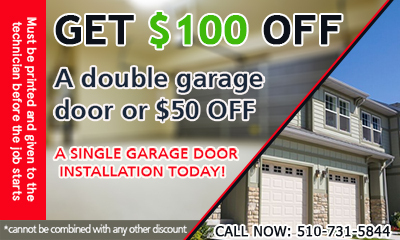 Call us at Garage Door Repair Hayward! Do you need urgent services? Contact us! Are you considering having the springs replaced before they snap? Let us help! Call our company for any issues you have with your door. As the best residential service provider in CA, we possess the knowledge and experience to assist our customers in the best possible way. Our team can do it all whether you are interested in getting a brand new door installed, need the tracks adjusted or fix any problem you have with the opener. Be it for broken springs, a malfunctioning opener or your door going off the track, we've got you covered! Call us today or leave a message online and we will get back to you with our best offer and solutions. We are waiting for your call and are always at your service!